Congrats Obama on the Nobel Peace Prize! Read about Barack’s Nobel Peace Prize acceptance speech here. Michelle Obama is so G-L-A-M-O-R-O-U-S! My goodness! 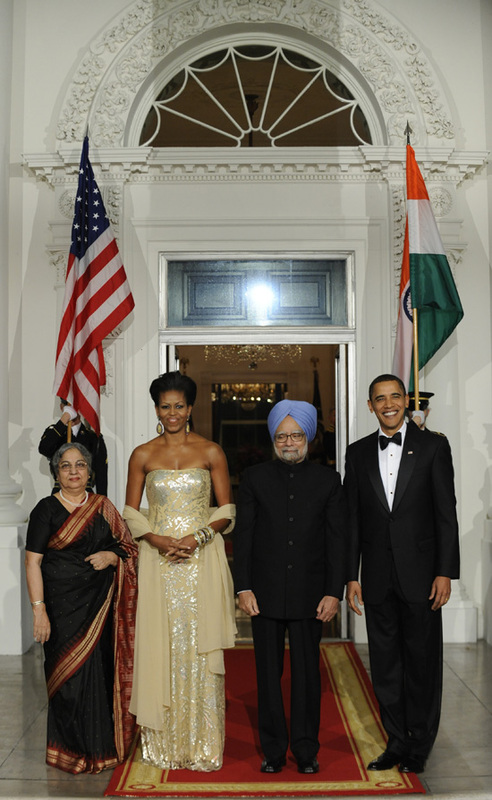 Michelle Obama and the President are looking mighty fine at the India State Dinner! The new Obama family picture is adorable! The first family portrait is so cute! I just want to pinch Sasha’s cheeks! Isn’t the Obama family just beautiful? Michelle Obama is just stunning! this off-the-record Obama comment but of course, the tweet is no longer visible. You can see a screenshot of the tweet here. You can view all tweets surrounding Kanye West’s indecent behavior at the VMAs here. Bo Obama Sports an “I heart Obama” Dogleash! Bo Obama is so adorable! that leash, but we should have thought of that! President Obama relaxes with the family at Martha’s Vineyard. We wish you a happy birthday, Mr. Barack Obama! President Obama presented birthday cupcakes to reporter Helen Thomas and also sang “Happy Birthday” the 89 year old distinguished reporter. There’s more on that here. Duck ringtone briefly disrupts President Obama’s Press Conference on Health Care! President Obama was gracious and had a sense of humor towards the reporter with a duck ringtone that interrupted his press conference. President Obama really knows how to make people laugh! Obama uses ninja skills to kill a fly.